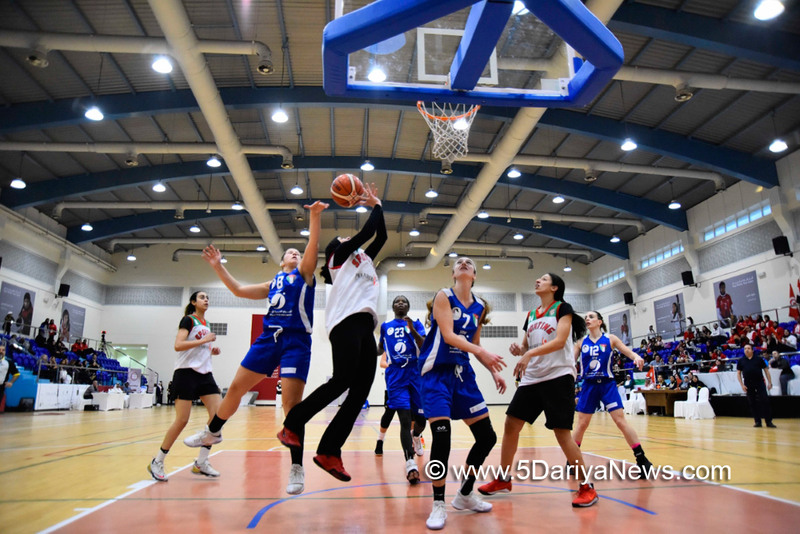 It was a day of ‘do or die’ in the third round of the basketball event at the Arab Women Sports Tournament 2018 (AWST) as the teams vied for top spots in the qualifying table before heading into the finals decider in the fourth round. In the knowledge that the teams who rank first and second in the preliminary phase will take on each other in the final, everything is still at stake.Sharjah Sports Club for Women showed their intention to play a leading role in proceedings with a fairly comfortable win over Somalia’s Mogadishu by 86-50. Meanwhile, in a marginally tighter game, Egypt’s Sporting Club defeated Jordan’s Al Fuhays 73-55. Bahrain’s Al Mawaheb then celebrated its second victory after defeating KSA’s Jeddah United with a lesson in sharp-shooting and a score 92-47.With all still to play for at the fourth edition of AWST, organised by the Sharjah Women Sports Foundation (SWSF) and held under the patronage of the wife of His Highness the Ruler of Sharjah, Her Highness Sheikha Jawaher bint Muhammad al Qasimi, member of the Supreme Council and Ruler of Sharjah, Chairperson of SWSF, no places were guaranteed at this stage of the competition.By the end of the third round, Sharjah and Al Fuhays topped the table with five points each, followed by Al Mawaheb and Sporting in second with four points for each, and then Al Fatat, Mogadishu and Jeddah United all coming in third, with three points apiece.The all-important fourth round will resume on Wednesday with three games; Al Fatat are up against Al Mawaheb at 12pm; Jeddah United play Al Fuhays from Jordan at 2pm; and Mogadishu takes on Sporting at 04:00pm. The final will be held on the final day of the tournament, 12 February.